The Camino de Santiago has many routes. Find them out. Making use of the phrase “All roads lead to Rome´´, we can state, in a sense, that all roads lead to Santiago de Compostela as well. With many years of tradition, the Camino de Santiago is one of the most popular pilgrim routes in the world. As we know, the objective is the Camino itself, finding the St James the Apostle, or even ourselves; and there are many routes to arrive. Let’s start with the most popular one, the French Way. This route links the French village of St Jean de Pied de Port with Santiago de Compostela in more than 30 stages (a total of 760 km). As mentioned, this route starts in St Jean de Pied de Port, and the main stops are: Roncesvalles, Zubiri, Pamplona, Puente La Reina, Estella, Los Arcos, Logroño, Najera, Santo Domingo de la Calzada, Belorado, San Juan de Ortega, Burgos, Hornillos del Camino, Castrojeriz, Fromista, Carrión de los Condes, Calzadilla de la Cueza, Sahagún, El Burgo Ranero, Mansilla de las Mullas, León, Mazarife, Astorga, Rabanal del Camino, Ponferrada, Villafranca del Bierzo, O Cebreiro, Triacastela, Sarria, Portomarín, Palas de Rei, Arzúa, y Pedrouzo (about 20 km far from Santiago). The Aragonese Way is one of the less known routes, but at the same time one of the oldest. It is about 140 km long, divided on 6 stages: Somport, Jaca, Arrés, Ruesta, Sangüesa, Monreal y Puente la Reina. The end of this route is considered to be Plaza de Obanos, in Puente de la Reina, where it joins together with the French Way up to Santiago de Compostela. Because of this, the Aragonese Way is also known as the French-Aragonese Way. The Portuguese Way starts in the capital city of Portugal, Lisbon, which is about 600 km far from Santiago de Compostela (but most of the Pilgrims start in Porto or directly in Tui, the town that marks the boarder with Portugal). It is the second most popular route in terms of number of Pilgrims, just after the French Way. 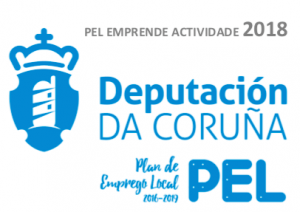 The main stops, starting in Lisbon, are: Santa Iria, Vila Franca de Xira, Azambuja, Santarem, Golega, Tomar, Alvaiazere, Ansiao, Condeixa a Nova, Coimbra, Mealhada, Agueda, Albergaria a Velha, Sao Joao de Madeira, Grijo, Porto, Fajozes, Arcos, Barcelos, Ponte Lima, Rubias, Tui, O Porriño, Arcade, Pontevedra, Caldas de Reis, Padrón and Santiago. This last stop before our destination, Padrón, is the place from where the remains of St James the Apostle were transported to Santiago. The Northern Way is also a popular route, that has been recently declared Unesco heritage site. The starting point of the route can be Bayonne (France), Irún (Spain), but most of the pilgrims really start in San Sebastian. There are more than 800 km to Santiago, and more than 30 stages. Some of the main towns on the way are Bilbao, Santander, Gijón, Avilés and many more. From Arzúa, already in Galicia, the path is the same as the French Way, up to Santiago. With regards to the Camino Vasco del Interior, it was one of the most popular routes during the Middle Ages. It has 8 stages, from Irún to Santo Domingo de la Calzada, and about 203 kilometres. Because of its location, there is usually snow, but the panoramic views of the Spanish relief are stunning. In Santo Domingo de la Calzada, just like the Aragonese Way, the itinerary finishes and pilgrims will need to join the French Way to arrive to Santiago. The Vía de la Plata is another way of getting to Santiago. This route starts in Seville, the capital city of Andalusia, and some of the main stops are: Zafra, Mérida, Cáceres, Carcaboso, Salamanca, Zamora, Puebla de Sanabria, A Gudiña, Ourense and finally Santiago. There are more than 40 stages, over 1,000 km approximately. We finish this list of routes to Santiago, with the Original Way (Camino Primitivo in Spanish), that can be done in 13 walking days (about 250 kilometres). This route starts in Oviedo, and the stops are: Grado, Salas, Tineo, Pola Allende, Berducedo, Grandas de Salime, A Fonsagrada, O Cádavo, Lugo, Ferreira, Melide, Arzúa, Rúa and finally Santiago. 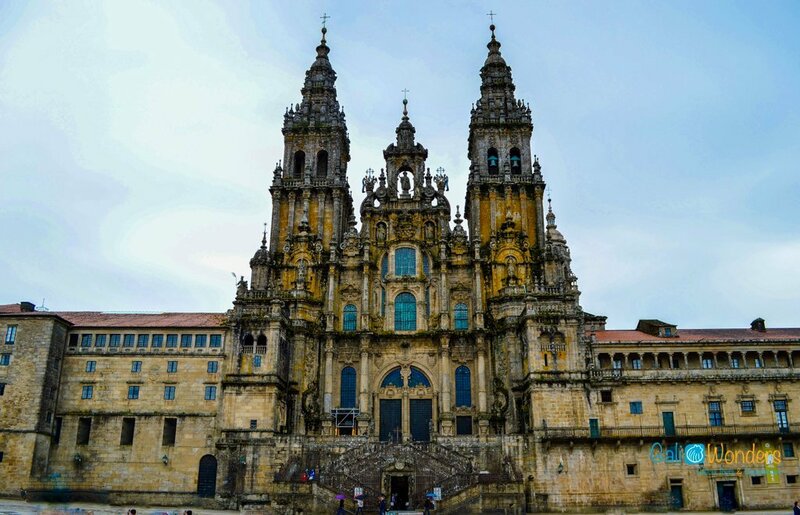 From Melide, the path is the same as the French Way, and pilgrims using both routes will walk together until Obradoiro Square, in Santiago.